This is the 11th challenge I have posted at YPP. Everyone who has played a long now has 55 handmade cards to share with family and friends. 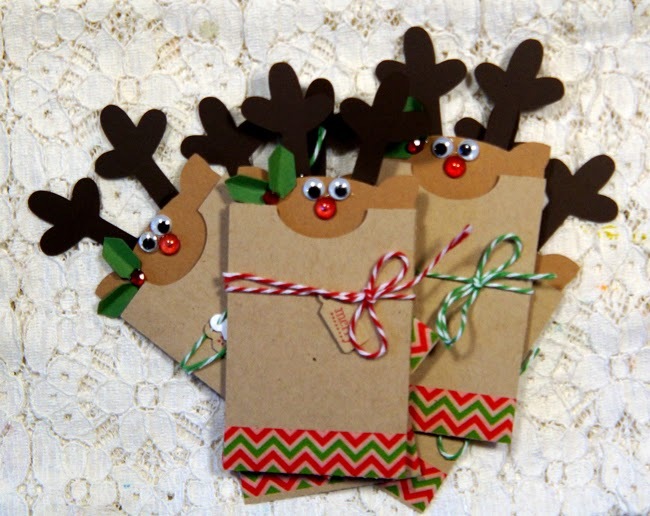 These little Reindeer were created with my Silhouette ( cut Design ID #22922 ). This can hold a gift card, a check or cash and then it is a book marker. This video tells about the challenge. It is also time for the Artsy Fartsy Ticket Swap. 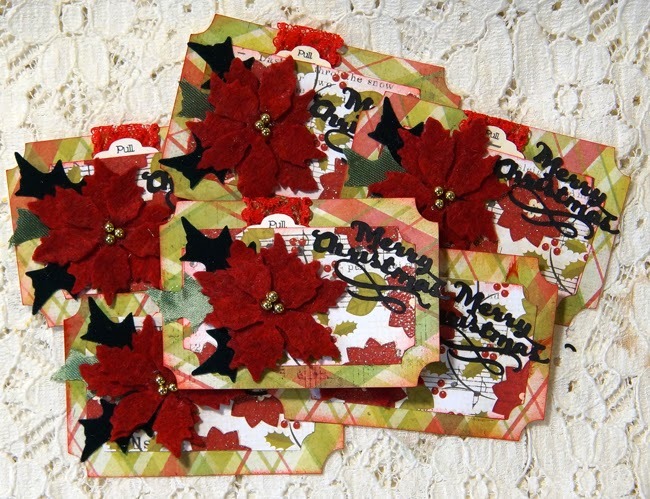 The theme is Christmas Flowers. Here is a process video on how I created these. I found a big roll of dark green velvet ribbon at St Vinnie's and it is perfect for making leaves. They flowers were cut from felt and a Tim Holtz die. Come on over to Your Paper Pantry and join in the fun. It is only $12 a year and that is the best crafting money I spend all year. These are CUTEEEEEEEEE! I loveeeeee those reindeer!!!! !